Mumbai is gearing up for a Rs 600-crore (Rs 6-billion) homeland security and video surveillance makeover by private companies as it closes in on the third anniversary of the 26/11 terror attacks. Security for the Maximum City has thrown up a business opportunity for corporate A listers from India and abroad -- Reliance Industries, Tata Group, Bharti, Wipro and IBM. The Maharashtra government has shortlisted seven consortiums for a project involving installation of 5,000 surveillance cameras, video analytics and management, data preservation centres, and six command and control centres. 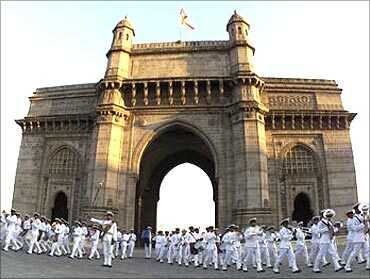 Image: Cadets from the Naval Band play military music at the Gateway of India in Mumbai. These will eventually be integrated with fire and ambulance services in the city, said persons aware of the ongoing negotiations, leading Mumbai to eventually have its own version of 'Call-911-for any-emergency' number. The shortlisted candidates are Wipro-Airtel, Schneider-IBM, Allied Technologies and Cisco, HCL and Revmax Infotech, TCS with its subsidiary CMC Limited and MTNL, Reliance Industries and Siemens and Electronics Corporation of India partnering with Divitel and Acosta Electric. 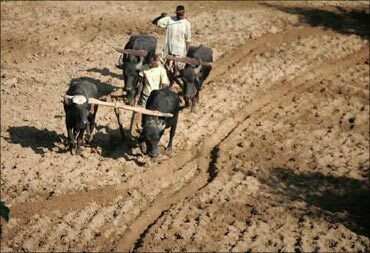 "The government would issue requests for proposal (RFPs) by end of November or early December. The project entails an investment of Rs 600 crore," said Umesh Chandra Sarangi, additional chief secretary (home). "The cabinet has already given its approval for the same. The installation is expected to be complete in a year." PricewaterhouseCoopers is advising the Maharashtra government on this deal. 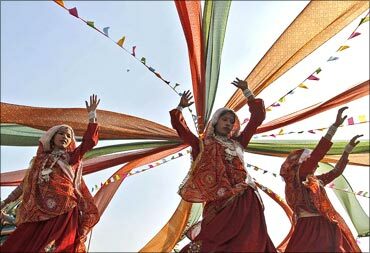 Image: Girls performing the garba dance in Ahmedabad. 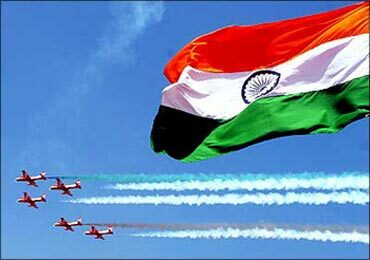 The corporate interest for the Mumbai project -- the largest homeland security one in India till date -- stems from the fact that most see this as a template for similar mega exercises nationwide, in cities such as New Delhi, Jaipur, Bengaluru, Chennai, Ahmedabad, Hyderabad and Kolkata. Experts feel this could be a billion-dollar opportunity. In the US, which suffered the 9/11 attacks, the private sector homeland security market was $7.7 billion in 2010, data from a market research company in Washington shows. 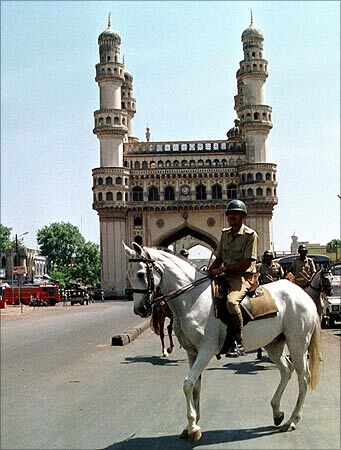 Some cities in India have tested the waters for privately-provided homeland security. During the Commonwealth Games, Delhi saw a limited usage of a video surveillance exercise by HCL along with government-owned ECIL. Kolkata, too, has had a small pilot project. 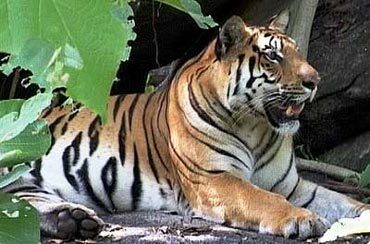 The five-year Mumbai turnkey project will include installation of cameras, creating and managing software architecture to monitor the streaming footage, analysing them at a command centre and storing the data in large servers. The vendors will have to upgrade the systems at the end of the fifth year. These tasks have made technology and surveillance specialists tie up with telcos or project management companies. Reliance Industries, for instance, will provide its fourth generation seamless telecom bandwidth and project management skills to its consortium partner Siemens, which offers security solutions globally. Reliance already operates the world's largest integrated security automation system of over 12,000 cameras, advanced sensors, radars and video analytics for its corporate headquarters, campuses, retail stores and refineries. Others such as Wipro, Bharti, and the Tatas, keen to expand into urban infrastructure and homeland security, have also leveraged their expertise in information technology or telecom to form joint ventures or consortiums. The shortlisted vendors will be screened on their technical capabilities, proof of concept and commercial terms. The state government will not pay vendors in the first year of the project. After that, it will make a deferred quarterly payment of 20 installments. This will lead to vendors pump money to support their own capex. The Ram Pradhan Committee, which looked into the role of the police and administration after 26/11, had sought installation of CCTV cameras as a preventive step. A team led by home minister R R Patil visited London's Scotland Yard to gather expertise. 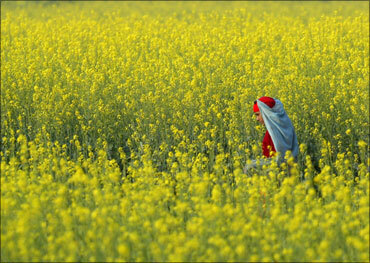 Image: A farmer in Jharkhand, Ranchi.